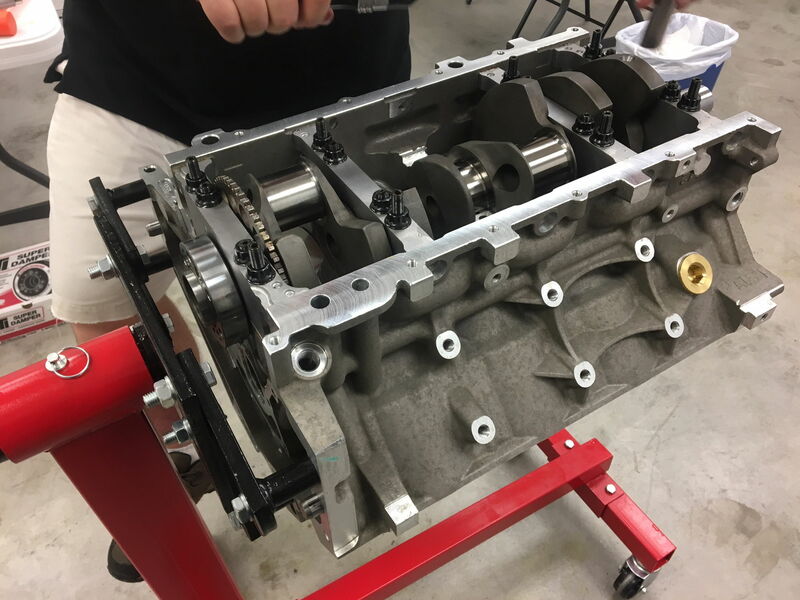 HPR and GSpeed have teamed up to showcase a number of new cool and exciting engine and power-train offerings for late model Corvette's, particularly for road racers. In this continuing build thread you will see maybe some things you haven't thought of before, but all are either currently available or so to be available products you can have for your own racer or street car. 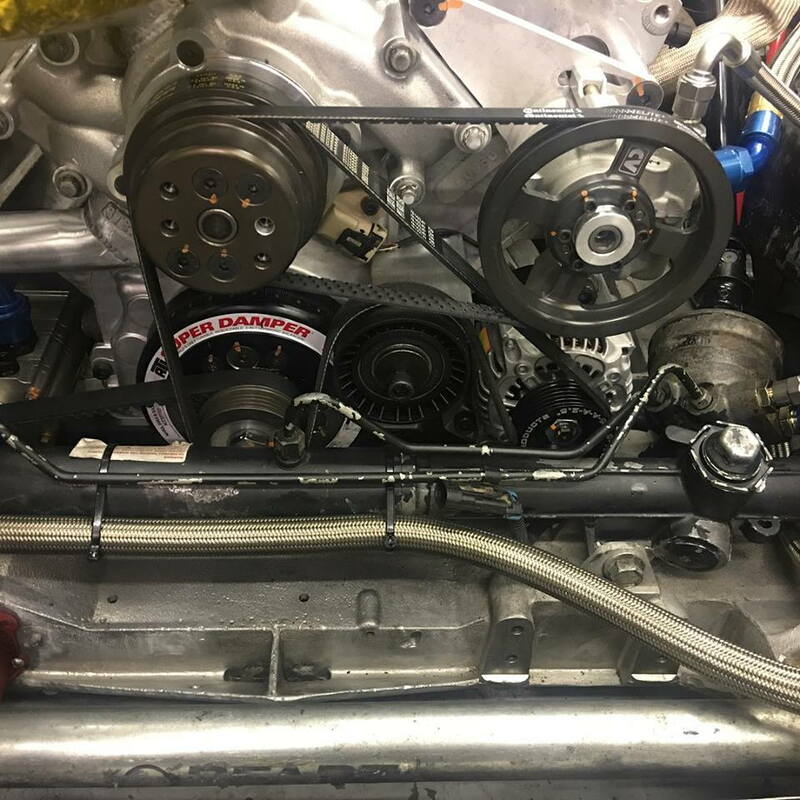 There has been a common urban myth surrounding the world of road racing, and that has been to have a higher reving engine you need a shorter stroke. You can find this from the history pages of the Chevy 302 back in the early TransAm days of racing right up to the new destroked LS7 builds that have been growing in popularity. Some of these engines were due to rule limitations like the TransAm series but others were done just because that is what was thought to be the only way to do it. What did it really prove? It takes a lot more RPM to make the same amount of HP from a smaller engine, and low to mid range torque suffers because of it. Since most of us on here are not racing in a class that has a displacement rule, why handicap yourself right out of the gate by using a smaller engine? I know the love affair with a 8500 RPM V8 is one that we all love to hear blasting down the straights but what if I told you you can make so much power across the board there is no point in doing so? What if I also said, if you need to spin it that high and can feed it....there is no reason a big stroke LS engine can't spin to 8000 RPM or more? (more on that later). Goals: To build a reliable and cost effective LS performance engine package without using exotic or high maintenance components. In our talks with Louis the goal on this first engine was to make a big powered engine obtainable to most weekend racers or street cars. No high dollar shaft mount rocker arms. No solid roller cams that would need constant adjustment. 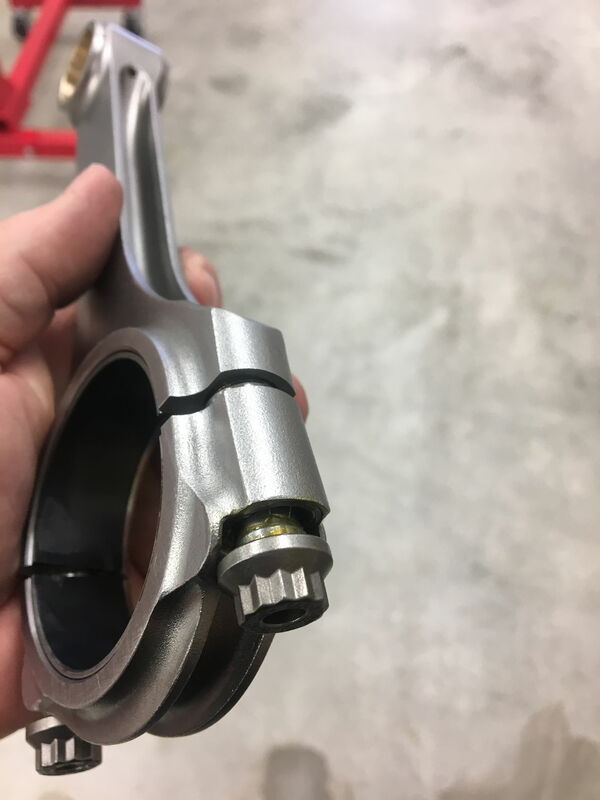 No limited production billet cranks or high dollar connecting rods. The best starting point, our signature 468 cid LS of course. Ground zero is the engine block itself. 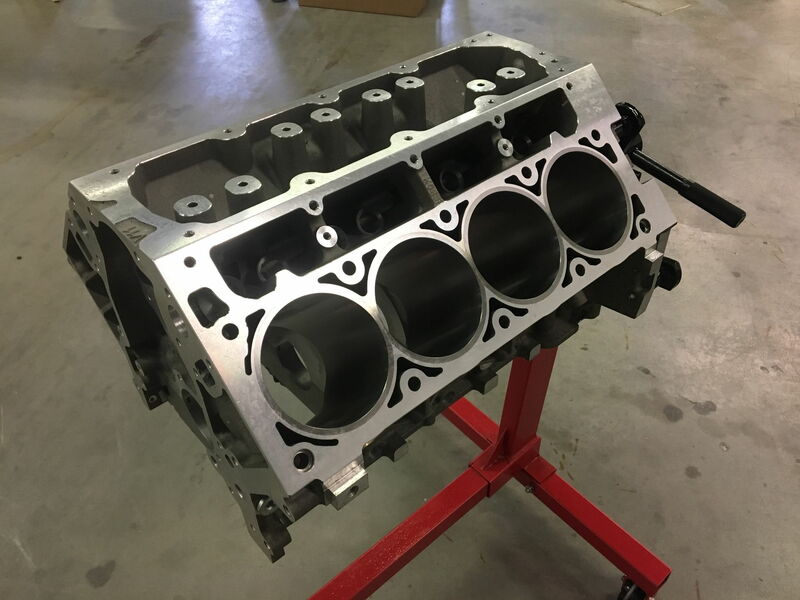 We use a Darton dry sleeved Gen IV LS engine block as our starting point. In this case it is the typical 5.3L casting. Inside we do use a longer than stock sleeve to better support the increased stroke of the 468. Stock GM main caps are supported with ARP studs and hardware. 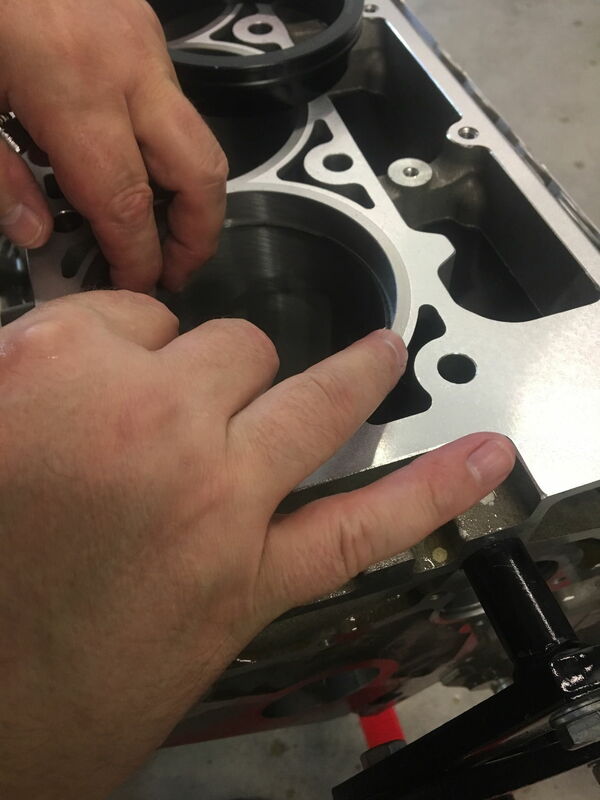 From here we clearance the block to clear our connecting rods for the increased stroke with minimal intrusion into the liners. New cam bearings are installed, main caps are torqued and line honed for proper clearance for the mains. Cylinders are honed to our finish requirements and the deck surface milled to spec. Once machine work is finished, the engine is washed and ready for assembly. 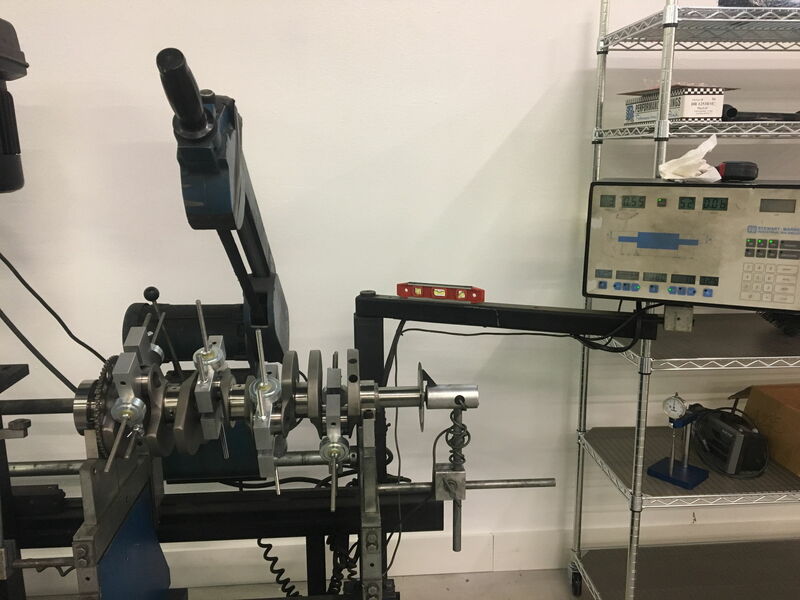 The forged crankshaft is measured for journal sizes and prepped for balancing after weighting all components used. Pistons and rods are honed for proper pin clearance then deburred and washed. 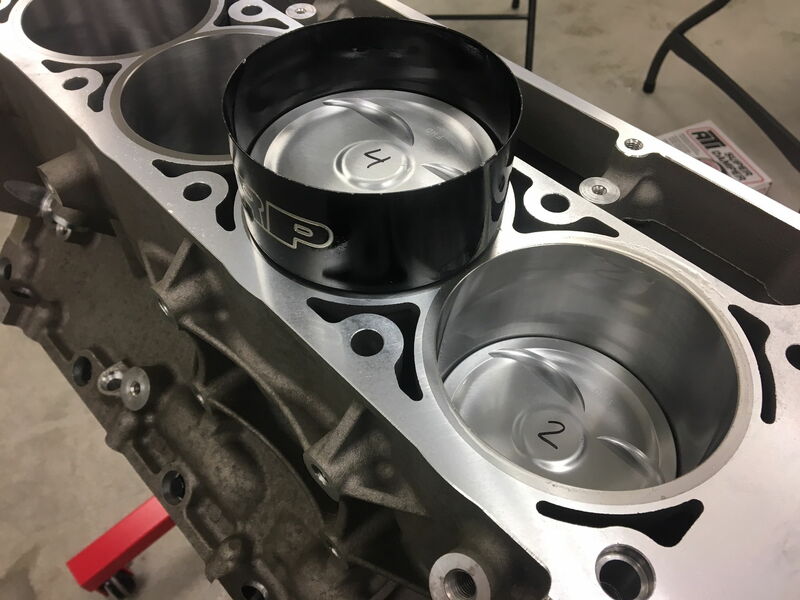 The 468 uses a number of components of our own Erik Koenig's design like the pistons and ring package for not only a good seal but reduced drag and friction which again aids in horsepower! Here you can see the rings being sized for gap prior to going on the pistons. Once the rods are washed, bolts are lubed and bearings installed prior to hanging the pistons. Another one of Erik's designs was a strong yet light rod that provided more clearance for the large stroke on our 468. With the rotating assembly balanced, parts fitted and washed it is time to assemble. First step is installing bearings into the block and laying the crank in place. Here we can check final rotating drag and trust movement before installing the piston/rod combo. Correctly sized ARP ring compressors are used to install each assembly into the engine block using Motul break in oil. 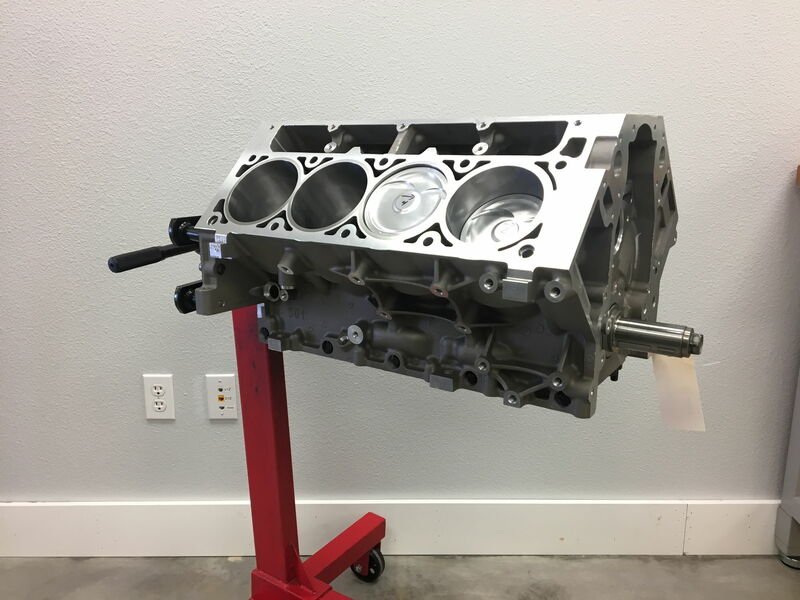 Once the short block has been assembled we can go in and check our work for deck height at each corner and prepare to install the cam and timing sets coming up in the next installment! This is one of the brand new items that you will also see featured on this engine build. Louis and the team at GSpeed have developed a completely new front accessory drive for the Corvette. In short, this system has removed 30 lbs of weight off the nose of the car, which is always a big plus. What else is this going to do? It is going to give you a better water pump for increased cooling. A real road race power steering pump setup. Smaller and lighter pulley system, and narrowed belts for less frictional drag. In end not only will it remove weight but you are going to see increased RWHP and quicker acceleration.